Ulwelling | Siddiqui LLP's attorneys and staff have excellent academic credentials. They have attended prestigious institutions such as the University of Southern California (USC), University of California Los Angeles (UCLA), University of California Irvine (UCI), University of California Santa Barbara (UCSB), Loyola Marymount University, Boston University, University of Massachusetts, California State University Long Beach, Santa Clara University, Arizona State University and Chapman University. 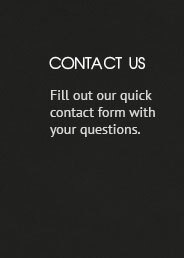 Our attorneys and staff are experienced. They are licensed to practice before all courts of the State of California, United States Federal District Courts, the United States Court of Appeals, and the United States Supreme Court. Our attorneys are highly visible in the communities in which they practice. They have authored numerous legal articles and have appeared as guest speakers to a range of professional groups. The firm's attorneys have also been featured as legal experts on television and talk radio programs. The firm works as a team. A partner, with assistance from associates and paralegals, remains personally involved in every case from start to finish. Regular strategy meetings and frequent communication with clients ensure that each engagement is staffed in the most effective possible manner. Ulwelling | Siddiqui LLP's team offers experience, resourcefulness and tenacity to solve problems.